A beautiful addition to your spa scene, the Covana Oasis automated cover! 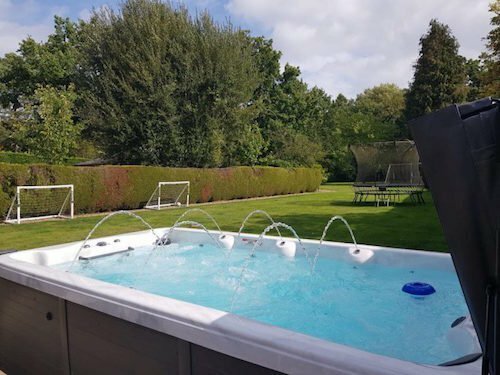 When closed its watertight seal reduces the spa’s heat loss due to its superior insulation whilst at the same time providing a secure lock that only you can access. At the twist of a key the automated cover takes 20 seconds to fully open to reveal a modern, elegant gazebo that protects you from the weather whilst providing plenty of privacy. 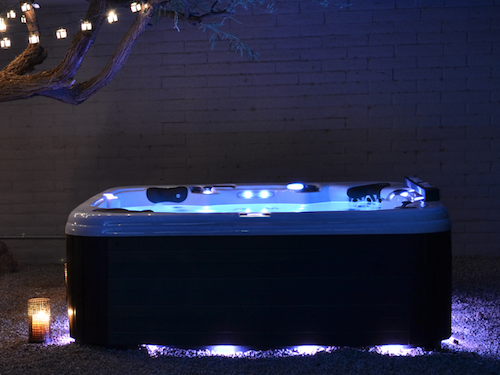 The internal led lights add an extra touch of class and ambience to the whole spa setting. 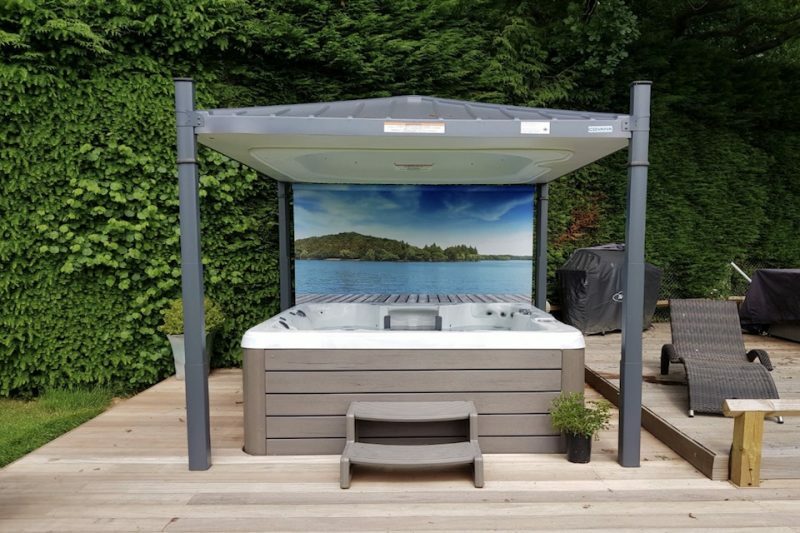 Our showroom Covana Oasis cover, featured in the video, allows customers to see for themselves the quality of the structure and the benefit it can provide. Our cover comes with one of two optional scenic blinds called “Zen” or “Island”.